The High Line is continuing its trajectory as the destination for the city’s most exciting new architecture, and it looks like another starchitect could soon join the already impressive roster of designers making their mark on the area. The New York Post reports that HFZ Capital Group is currently in the works to bring a “monumental” new structure to a lot located next to the elevated park at 76 11th Avenue—a site that spans from 17th to 18th and across 10th to 11th Avenues. 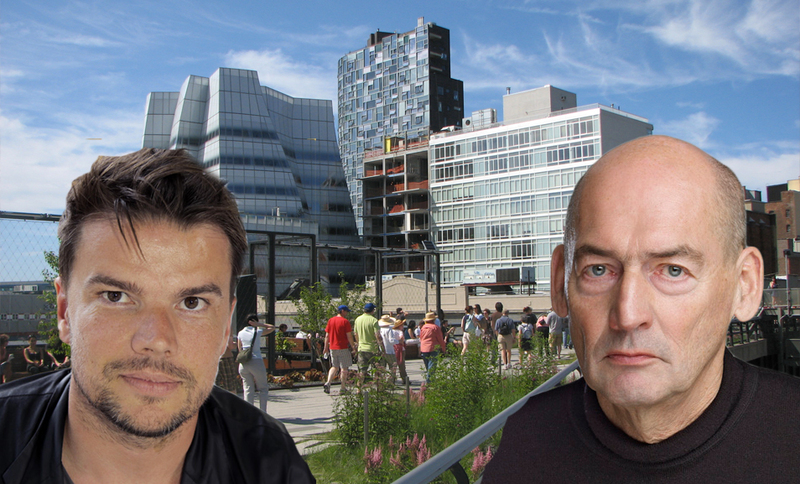 Although the parcel is still in contract (expected to close in April), HFZ has reportedly already tapped Bjarke Ingels (BIG) and Rem Koolhaas for initial drawings, which were revealed by the company’s head, Ziel Feldman, yesterday at the Young Men’s/Women’s Real Estate Association luncheon. The renderings are said to show “triangular structures that won’t block views”. Post reporter Lois Weiss, who was at the lunch, elaborated on that further, describing BIG’s proposal as “a low building for a hotel and retail and a higher one with more bulk at the top for the tower closest to the water. The project will include a small park while a porte cochere could run between the buildings.” The park is apparently being added to make sure the two buildings don’t face each other to ensure privacy. The development is slated to encompass a residential, retail and hotel destination of around 400 feet—or about 38 stories. There will also be a focus on smaller units to serve condo buyers more concerned with total costs than spacious living areas. The parcel, which comes with the right to develop more than 760,000 square feet, is estimated to have cost the HFZ somewhere between $600 million to $700 million. 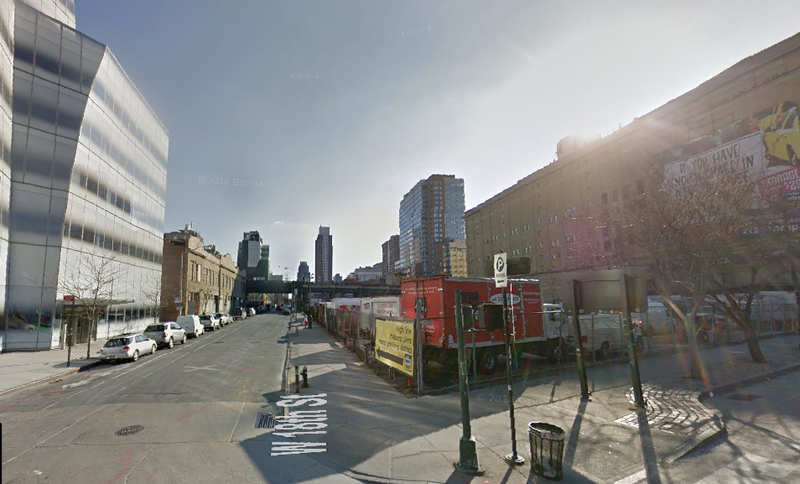 Currently on the site is a parking lot and a Manhattan Mini-Storage facility. And just across the way is Frank Gehry’s IAC building.